As the founder of ” Vaisheshik Darshan “- one of six principal philosophies of India – Acharya Kanad was a genius in philosophy. He is believed to have been born in Prabhas Kshetra near Dwarika in Gujarat . He was the pioneer expounder of realism, law of causation and the atomic theory. Born in 476 CE in Kusumpur ( Bihar ), Aryabhatt’s intellectual brilliance remapped the boundaries of mathematics and astronomy. In 499 CE, at the age of 23, he wrote a text on astronomy and an unparallel treatise on mathematics called “Aryabhatiyam.” He formulated the process of calculating the motion of planets and the time of eclipses. Aryabhatt was the first to proclaim that the earth is round, it rotates on its axis, orbits the sun and is suspended in space – 1000 years before Copernicus published his heliocentric theory. He is also acknowledged for calculating p (Pi) to four decimal places: 3.1416 and the sine table in trigonometry. 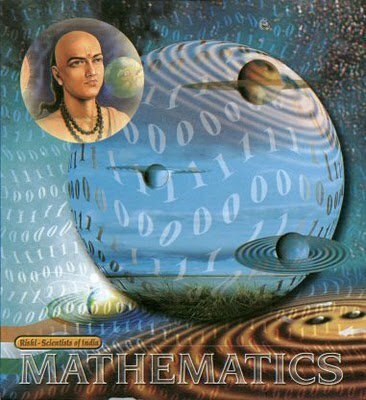 Centuries later, in 825 CE, the Arab mathematician, Mohammed Ibna Musa credited the value of Pi to the Indians, “This value has been given by the Hindus.” And above all, his most spectacular contribution was the concept of zero without which modern computer technology would have been non-existent. Aryabhatt was a colossus in the field of mathematics. 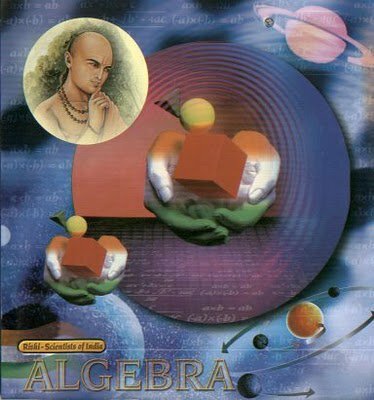 Born in the obscure village of Vijjadit (Jalgaon) in Maharastra, Bhaskaracharya’s work in Algebra, Arithmetic and Geometry catapulted him to fame and immortality. His renowned mathematical works called “Lilavati” and “Bijaganita” are considered to be unparalled and a memorial to his profound intelligence. Its translation in several languages of the world bear testimony to its eminence. In his treatise ” Siddhant Shiromani ” he writes on planetary positions, eclipses, cosmography, mathematical techniques and astronomical equipment. In the ” Surya Siddhant ” he makes a note on the force of gravity: “Objects fall on earth due to a force of attraction by the earth. 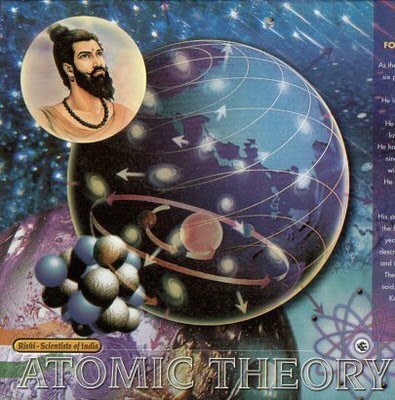 Therefore, the earth, planets, constellations, moon, and sun are held in orbit due to this attraction.” Bhaskaracharya was the first to discover gravity, 500 years before Sir Isaac Newton . He was the champion among mathematicians of ancient and medieval India . His works fired the imagination of Persian and European scholars, who through research on his works earned fame and popularity. He was an extraordinary wizard of science born in the nondescript village of Baluka in Madhya Pradesh . His dedicated research for twelve years produced maiden discoveries and inventions in the faculties of chemistry and metallurgy. Textual masterpieces like ” Ras Ratnakar ,” “Rashrudaya” and “Rasendramangal” are his renowned contributions to the science of chemistry. Where the medieval alchemists of England failed, Nagarjuna had discovered the alchemy of transmuting base metals into gold. As the author of medical books like “Arogyamanjari” and “Yogasar,” he also made significant contributions to the field of curative medicine. Because of his profound scholarliness and versatile knowledge, he was appointed as Chancellor of the famous University of Nalanda . Nagarjuna’s milestone discoveries impress and astonish the scientists of today. Acharya Charak has been crowned as the Father of Medicine. His renowned work, the ” Charak Samhita “, is considered as an encyclopedia of Ayurveda. His principles, diagoneses, and cures retain their potency and truth even after a couple of millennia. When the science of anatomy was confused with different theories in Europe , Acharya Charak revealed through his innate genius and enquiries the facts on human anatomy, embryology, pharmacology, blood circulation and diseases like diabetes, tuberculosis, heart disease, etc. In the ” Charak Samhita ” he has described the medicinal qualities and functions of 100,000 herbal plants. He has emphasized the influence of diet and activity on mind and body. He has proved the correlation of spirituality and physical health contributed greatly to diagnostic and curative sciences. He has also prescribed an ethical charter for medical practitioners two centuries prior to the Hippocratic oath. Through his genius and intuition, Acharya Charak made landmark contributions to Ayurveda. He forever remains etched in the annals of history as one of the greatest and noblest of rishi-scientists. A genius who has been glowingly recognized in the annals of medical science. Born to sage Vishwamitra, Acharya Sudhrut details the first ever surgery procedures in ” Sushrut Samhita ,” a unique encyclopedia of surgery. He is venerated as the father of plastic surgery and the science of anesthesia. When surgery was in its infancy in Europe , Sushrut was performing Rhinoplasty (restoration of a damaged nose) and other challenging operations. In the ” Sushrut Samhita ,” he prescribes treatment for twelve types of fractures and six types of dislocations. His details on human embryology are simply amazing. Sushrut used 125 types of surgical instruments including scalpels, lancets, needles, Cathers and rectal speculums; mostly designed from the jaws of animals and birds. He has also described a number of stitching methods; the use of horse’s hair as thread and fibers of bark. In the ” Sushrut Samhita ,” he details 300 types of operations. The ancient Indians were the pioneers in amputation, caesarian and cranial surgeries. Acharya Sushrut was a giant in the arena of medical science. renowned astrologer and astronomer who was honored with a special decoration and status as one of the nine gems in the court of King Vikramaditya in Avanti ( Ujjain ). 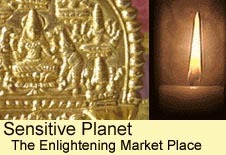 Varahamihir’ s book “panchsiddhant” holds a prominent place in the realm of astronomy. He notes that the moon and planets are lustrous not because of their own light but due to sunlight. In the ” Bruhad Samhita ” and ” Bruhad Jatak ,” he has revealed his discoveries in the domains of geography, constellation, science, botany and animal science. In his treatise on botanical science, Varamihir presents cures for various diseases afflicting plants and trees. The rishi-scientist survives through his unique contributions to the science of astrology and astronomy. The Science of Yoga is one of several unique contributions of India to the world. It seeks to discover and realize the ultimate Reality through yogic practices. Acharya Patanjali , the founder, hailed from the district of Gonda (Ganara) in Uttar Pradesh . He prescribed the control of prana (life breath) as the means to control the body, mind and soul. This subsequently rewards one with good health and inner happiness. Acharya Patanjali ‘s 84 yogic postures effectively enhance the efficiency of the respiratory, circulatory, nervous, digestive and endocrine systems and many other organs of the body. Yoga has eight limbs where Acharya Patanjali shows the attainment of the ultimate bliss of God in samadhi through the disciplines of: yam, niyam, asan, pranayam, pratyahar, dhyan and dharna. The Science of Yoga has gained popularity because of its scientific approach and benefits. Yoga also holds the honored place as one of six philosophies in the Indian philosophical system. Acharya Patanjali will forever be remembered and revered as a pioneer in the science of self-discipline, happiness and self-realization. 4.) Visual Secrets: The technique to see what’s happening inside another plane.